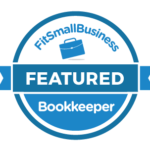 Trilink has been delivering high-quality Quickbooks bookkeeping support since 1999 and has successfully provided 20 years of experience in all versions of Quickbooks software. Our goal is to provide both a superior customer experience and tremendous value for our customers. Trilink provides outsourced controllers, Quickbooks efficiency experts, & leaders in the industry. We provide extraordinary & exceptional customer service focusing on our clients’ needs providing customized QuickBooks for the way your business or organization operates while improving the performance & profitability of your business . We understand people and know that people do business with people they connect with and trust. Supporting long-term relationships with our clients is our #1 priority! Since ‘day one’, Trilink has built its client base one relationship at a time. Trilink values its customers! We welcome your feedback and suggestions. Use our Contact Us page to request more information on our services and take your business to the next level . Click Here to see past and current REVIEWS of this business.